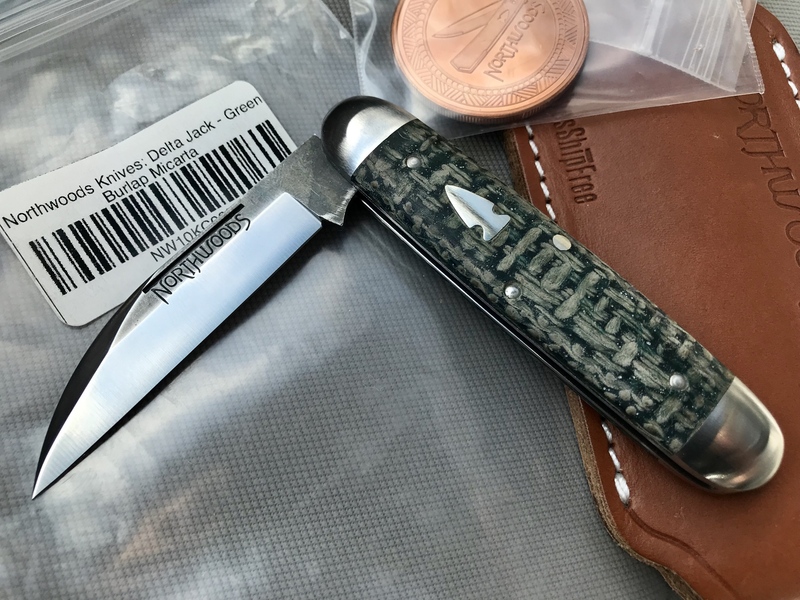 Discussion in 'For Sale: Traditionals, Slipjoints, "Old Timey"' started by bbk357, Mar 25, 2019.
. Only trade i am looking for is 15 cap lifters - all varieties. Payment by PayPal. Shipping Usps. Prices are firm. One pic will be posted and an album link as well. 1- Northwoods Delta Jack, green burlap micarta. This is brand new and no marks at all. Snappy and a pinchable 6. Great action and a great example of the delta jack. Bag, leather slip and coin included. 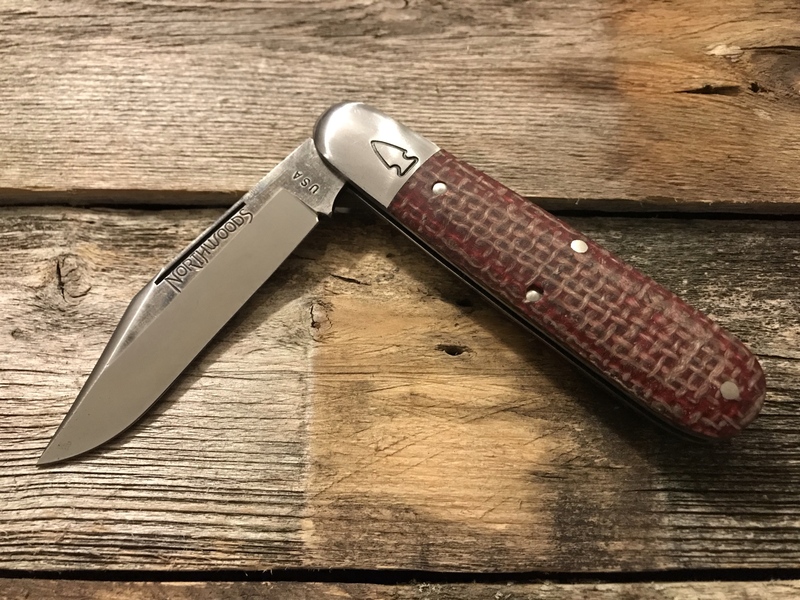 2- Northwoods Big Bay, red burlap micarta. Brand new. This one does have a few swirlies to one side of the bolster. The pics show it and it’s pretty normal from GEC. Great action, about a 6 pull and pinchable, lines up... a nice big bay. Comes with bag (top has slice in it form me opening it), coin and leather slip. Wildcat and Captvideo like this. What is the blade length on the Big Bay? The GEC 78 frame, I believe. The 77 has the squared bolster, the 78 has the rounded.